Zlatan Ibrahimovic, the mercurial Sweden striker, was the first high-profile footballer to feel the bite from Brexit — by the time he signed for Manchester United last week, his sterling-denominated pay packet was worth roughly 10 per cent less against the dollar. Ibrahimovic did not balk at his deal — reportedly worth £220,000 a week — and currency fluctuations were not discussed at length during his negotiations. But other clubs are taking advice on how Brexit will change how they sign players and the sharp fall in the pound will land clubs with higher bills for foreign players this summer. “If there is a euro amount to a player’s buyout clause, that amount has become more expensive and has potentially scuppered deals,” said Daniel Geey, a sports lawyer at Sheridans. One person close to a championship club said an Italian player demanded an increase in wages following Brexit because of the disadvantage of being paid in pounds. The deal subsequently fell through. The summer transfer window — the three-month period when clubs can acquire players — opened in June. Clubs are expected to spend lavishly, since all 20 Premier League clubs can look forward to at least £100m of television rights revenue from a new £5.1bn deal with Sky and BT. Last season, a record £1.045bn was spent in transfer fees in the Premier League, according to Deloitte. The biggest clubs are hedged against currency, earning euros from playing in European competition and dollars from international sponsorship deals. But smaller clubs could feel stretched by the drop in the pound. Beyond the summer, there could be issues over recruiting younger players, with EU rules currently allowing 16 to 18-year-olds from the EU to join youth academies in Britain. Cesc Fabregas, for example, joined Arsenal in 2003 aged 16 from Barcelona. If the rules for non-EU visas are applied to all countries after Brexit, it could also stop promising youngsters who joined the Premier League before they started playing for their national team, a key criteria. These work permit rules could have excluded entry to some of last season’s most successful players, such as Frenchmen Dimitri Payet of West Ham, N’Golo Kante of Leicester City and Anthony Martial of Manchester United. 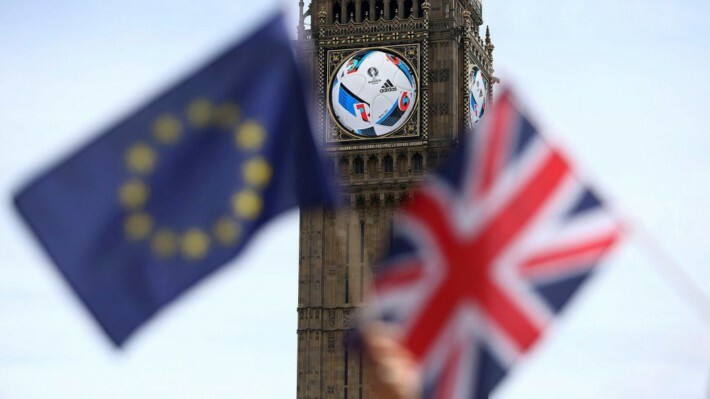 Brexit could also change Britain’s status as one of the power brokers of world football. England, Wales, Scotland and Northern Ireland together have a combined 50 per cent of the vote at the International Football Association Board, the global game’s pre-eminent rulemaking body. This gives the so-called “home” nations an effective veto over the laws of the game. Stefan Szymanski, author of Money and Football: A Soccernomics Guide, said this special status was afforded to Britain decades ago and left unchallenged because of the stability these closely connected countries provide. © 2016 The Financial Times | This article was written by Murad Ahmed and first appeared on The Financial Times website on 5 July 2016. « PreviousCan the A-League remain a closed shop? Eva Carneiro: Caught between their medical duty and a screaming manager … who’d be a football doctor?